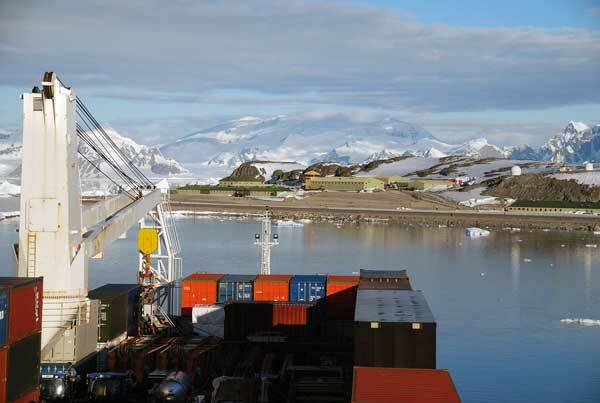 A cargo ship loaded with 4,500t of steelwork and construction equipment required to build a new wharf has arrived at British Antarctic Survey’s Rothera Research Station. The DS Wisconsin has completed a month-long voyage from the UK and transported plant equipment, 83 containers, permanent and temporary materials and 1,000t of steelwork. Her arrival at Rothera is a major milestone in the modernisation of the UK’s Antarctic infrastructure, as once the ship is unloaded construction partner BAM Nuttall will begin deconstructing an old wharf and building a new one big enough to safely berth the new polar research vessel, the RRS Sir David Attenborough. 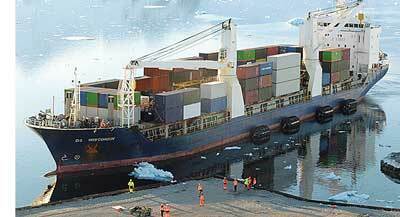 An additional 50 members of the construction team are present at Rothera this season in order to deliver the first phase of wharf work. This includes deconstructing the old wharf and building the rear section of the new one. Completion of the project is scheduled for April 2020. Working on behalf of BAM Nuttall, Four-Tees Engineers has fabricated the steelwork and has erectors in Antarctica to help with the steel construction work.